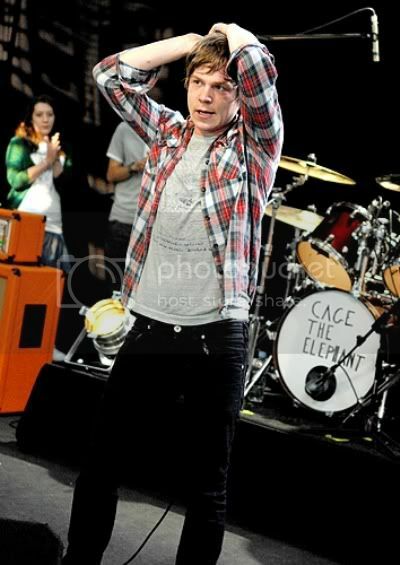 Cage the Elephant are: Matt Shultz (vocals), Brad Shultz (guitar), Daniel Tichenor (bass), Lincoln Parish (guitar), Jared Champion (drums). The band with American roots had to go to England to get famous.... Their debut came first in England last June on British Indie label Relentless. (Top 40 UK charting in the UK ensued!) The subject of much talk in the U.S. after last year's SxSW Music Festival, CTE seemed to disappear for just a bit while they were working on their new material. This early success earned the band a top 40 hit and a new deal today with Jive Records (the Zomba label Group) in the US. 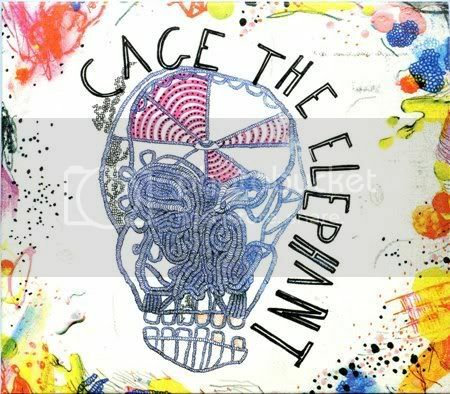 I liked the first song, which I swore sounded like The White Stripes; in a good way, since I like TWS. This one sounds more like G Love, but also in a good way. I'd go see them, if they play locally. Looks like the closest will be Lupo's on 10/17. I think they're supporting Silversun Pickups. I'm looking for an excuse to roadtrip to Higher Ground (Burlington, VT) and Pearl Street (Northampton, MA) this fall. They're playing VT on 10/21, so maybe that's the ticket.